There is nothing on this earth I love more, than a good planner. It feeds right into my need to control everything, (and sometimes everyone), around me. 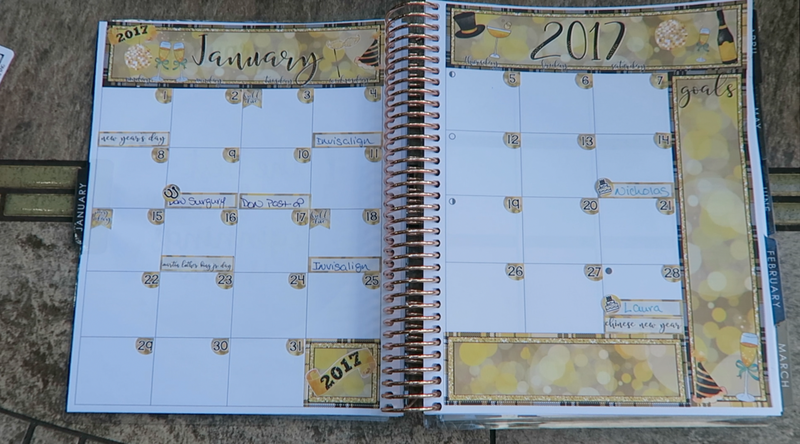 So I thought I would share my monthly plan for January in my new Erin Condren Planner. For planning my monthly calendar I always use JumpToItDesigns stickers from Etsy. I make a point of ordering the matte stickers as they are removable, which makes life so much easier when your schedule changes. I also use different colored pens as it makes looking at me schedule easier. I like blue for dental/invisalign, purple for doctor appointments, teal for birthdays, pink for my youtube & blog, and green for business. The pens I use are the Tul Gel Ink set. If you would like to watch the video of my plan with me session, you can find it here, along with todays vlog. Also let me know how you keep your schedule organized, do you plan your months, weeks, days, or play it fast and loose?